A Michigan health official has been sentenced to a year’s probation for not telling the public about an outbreak of Legionnaires’ disease during the Flint water contamination scandal. Nearly 100 people fell ill during the outbreak and twelve people died. Corinne Miller, the retired head of the Michigan’s Health and Human Services Epidemiology Department, pleaded no contest in September to a charge of willful neglect of duty, a misdemeanor punishable by a year in jail, according to AP. Under a sentencing agreement, Judge Jennifer Manley of Flint’s US district court spared Miller any jail time, with conditions that include her continued cooperation with the state attorney general’s investigation into the Flint water crisis. Seven other state employees face charges ranging from misconduct in office to tampering with evidence. Miller was also ordered to write an apology to residents. In addition, Miller must stay crime-free, do 300 hours of community service, pay over $1000 in court costs and fees and write a letter apologizing to the citizens of Flint. It’s “perfectly appropriate in this case,” Judge Jennifer Manley said about the order. Miller’s defense attorney, Kristen Guinn, objected to the apology letter, arguing it might be used in civil lawsuits against Miller. The judge didn’t indicate how the letter would be distributed. 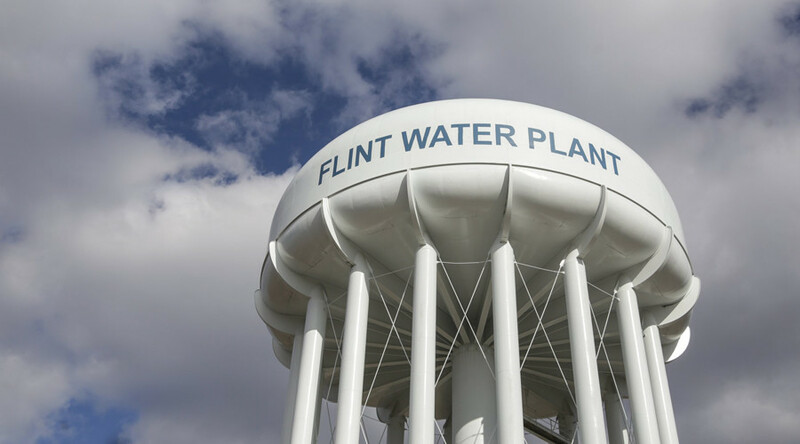 The Michigan Attorney General’s Office said actions, and inaction, by state health employees led to Flint using its river for drinking water from April 2014 until October 2015 without employing corrosion controls to prevent lead contamination. Unsuspecting Flint residents, including thousand of children, were exposed to water with high concentrations of lead. In her plea agreement, Miller said she was aware of the Legionnaires disease outbreak in 2014 and 2015 in Flint when the city was using a different water source but she didn’t report it to the general public. Experts linked the contaminated water to the outbreak of Legionnaires, a type of bacteria that thrives in warm water and infects the lungs. People get sick from inhaling mist or vapor, typically from cooling systems. Flint’s water quality has improved since the fall of 2015 when the city switched back to Detroit’s water system, although tap filters are still recommended. The city hopes to replace 6,000 lead water lines at homes this year but thousands more remain.